The green turquoise stone is remarkably beautiful and comes is several shades. The green turquoise stone is found more in areas that have a lot of iron. It is known that green turquoise was found around 1940 in mines located in Nevada. Many collectors find green turquoise to be an investment. When the stone is well taken care of, the color will last for several years to come. When the stone is not taken care of, it may fade in color over time. This is why collectors find these stones to be very special and unique. Their colors alone are outstanding for all types of jewelry pieces. One of the more popular green turquoise choices is known as Emerald Valley. It is a deeper green turquoise color. Collectors love natural Emerald Valley turquoise for its uniqueness in color that it brings. It is often found in the mines in Nevada as well. 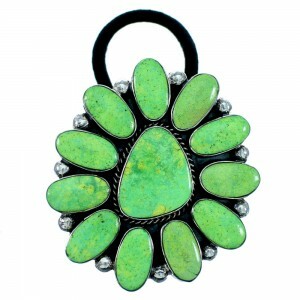 All types of green turquoise are a must have since it works well in all types of jewelry. Many have found they love to wear the stone with rings, bracelets, necklaces or earrings. 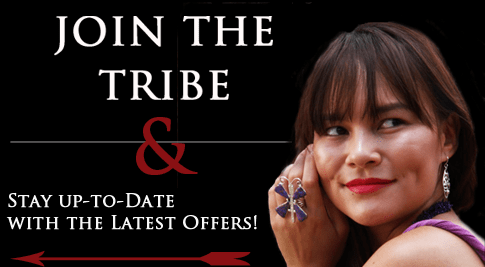 The variety of green hues can help match several types of outfits, and the green turquoise will stand out among other types of Navajo Native American jewelry. Whether you are looking for something to wear every day or just on special occasions, you can never go wrong with a piece of jewelry made of green turquoise. You can look at a variety of jewelry pieces that are marked at low prices that we have to offer. The green turquoise stone is perfect for wearing with suites, dresses, or blouses for both formal and casual wear. The variety of designs that we have to offer is endless. There are several hues, shapes and sizes that you can choose from to get the look you desire.